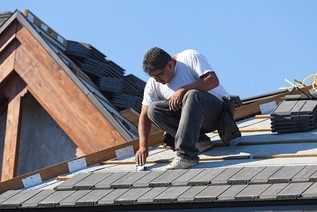 Roofing and Lofts - Roofers and Roofing Services - Albatross Roofing Ltd. Here"s an overview of the Services we provide. For more information, check out our Services page. ​Can you roof withstand every storm? If you're not sure, or you have an aging roof that's been well weathered, have one of our inspectors come out and take a look. It"s very possible you"re subject to further damage without proper flashing installed. ​A lot of your home's HVAC system loses its power directly through your roof. Without proper insulation, your energy bills can be sky high. Have one of our guys come out and take a look at it – we might be able to save you money on your seasonal electricity bills. 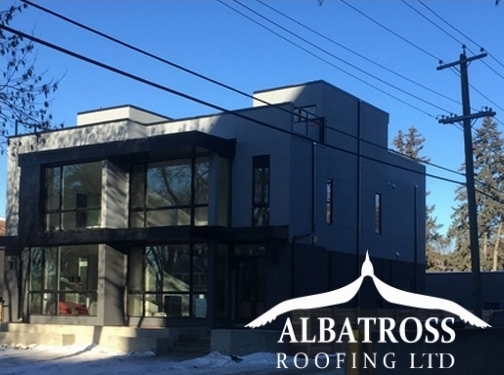 ​Albatross Roofing Ltd. uses nothing less than the highest quality roofing materials, thereby ensuring that your roof is durable and long lasting throughout the years. IKO Cambridge is one of the most popular types of residential roof material these days. They are relatively inexpensive. The geographical location, slope of the roof, height of the building, ease of access to the premises, complexity of the project and the type of shingle determine the cost of the shingles & job. They come in a variety of colors, shapes, textures and life spans and are fairly durable and can be easily repaired and maintained. 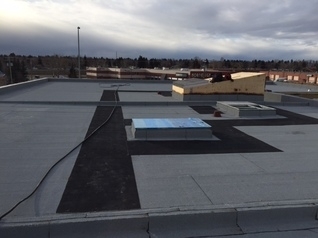 ​As most know, flat roofing is a more expensive process then the typical sloped shingle roofs. That being said, if the roof is installed properly, these roofs will last many years & will not cause the problems some sloped roofs do. There is a few different styles of flat roofing, so here is a quick break down of what we specialize in. ​A lot of home owners are either not aware or are hoping they"re roof is good enough to last a few more years. 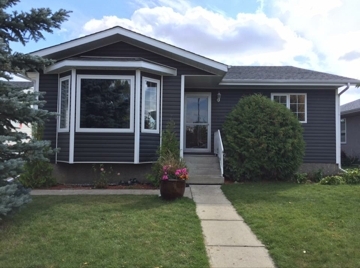 Over the last few years we have done a lot of inspections for owners needing documentation for insurance purposes, owners seeking to see if maybe they do need a new roof or simply just to ensure & give peace of mind that they"re roofs are not going to give them trouble during the upcoming winter or rain season. With over 20 years in the roof business, we have encountered virtually every situation you can think of. Whether it is a standard roof repair job, flat roofing job or something else, we have the experience and expertise to ensure that we take care of your roof and you. Have a look through our testimonials to see what some of our previous customers have to say. 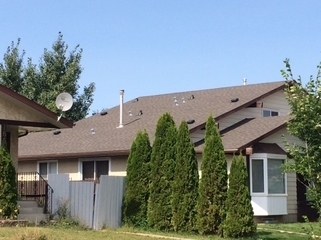 Canada (Spruce Grove, Alberta) based business - established over 20 years ago - providing roofing services. Website includes details of services provided, work examples, testimonials, certifications and accreditations gained, full contact details.